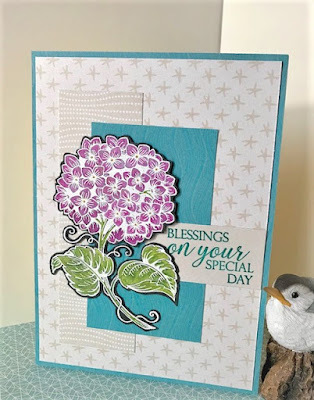 Today, I have a card for the Anything Goes Challenge at Simon Says Stamps Wednesday Challenge. Using metallic gold cardstock, I die cut and embossed leaves and a bow with dies from Spellbinders. 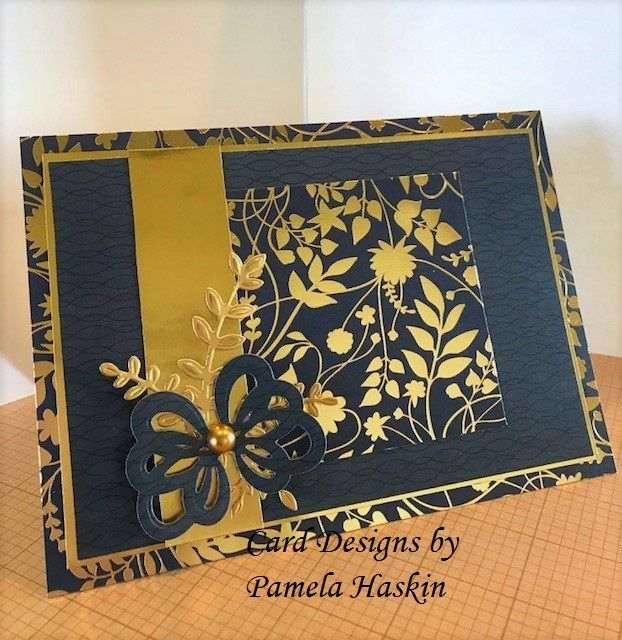 I also used the gold stock to create a mat the front panel on my card. To create more depth and dimension for your cards, try adding a mat behind the front panel. There are still a few days left if you want to join in the fun with a card of your own. Here's a link to the rules. Thanks so much for stopping in. 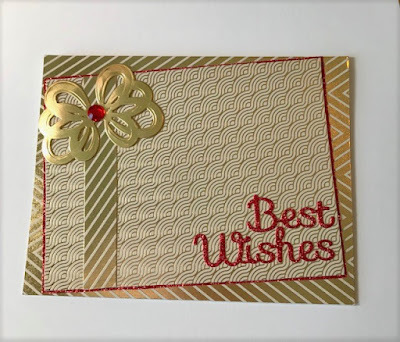 I'll look forward to seeing your cards. Thanks for stopping in. 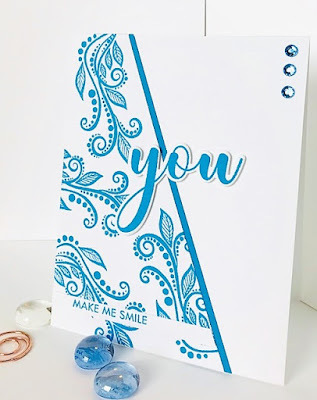 Today I have a card for the Bling It On Wednesday Challenge over at Simon Says Stamps. I blinged it up with gold-foil prints and glitter paper. There are still a few days left before the challenge ends. 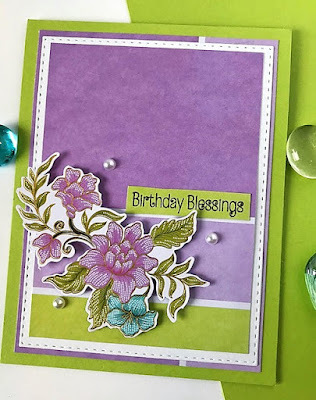 Pull out your blingiest supplies and enter your own card. 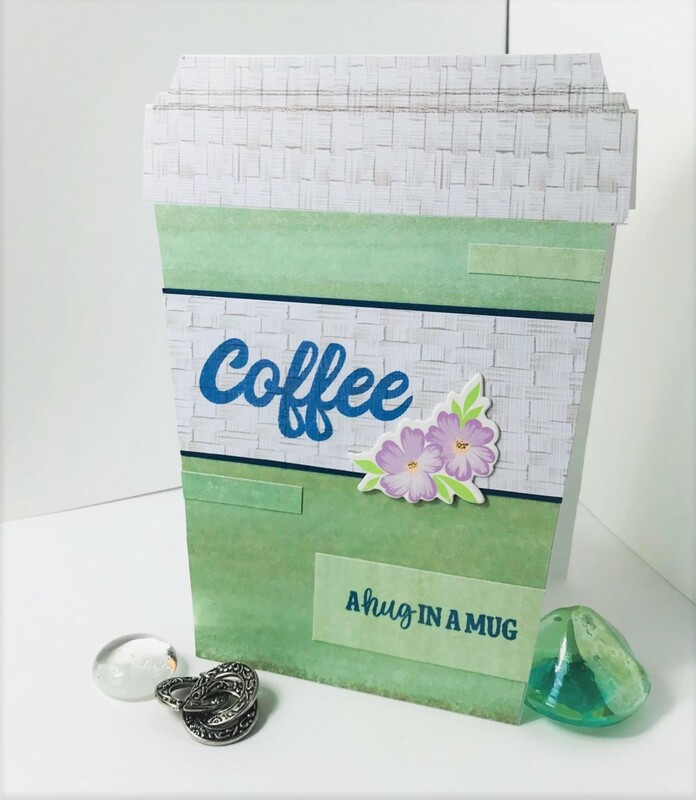 ﻿ My favorite thing about coffee is having a cup every morning with my husband. It's my favorite part of every day. 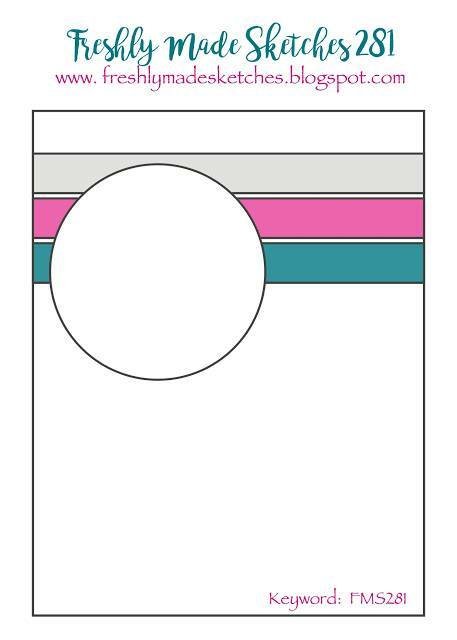 To make this card, I drew up a quick coffee-to-go-shape template. 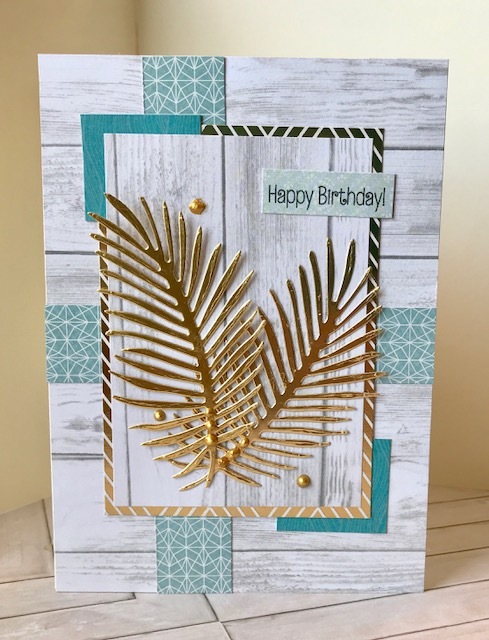 I cut a card base from white cardstock. I used mint and ivory cardstock to cover my cup. 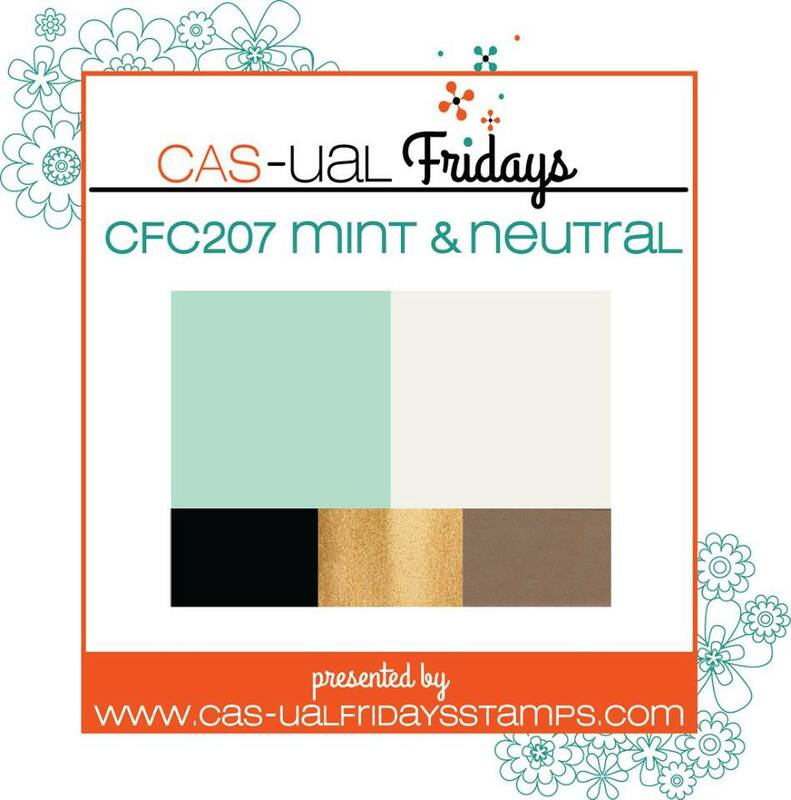 Using Casual Fridays' coffee-sentiment stamps, I stamped my label and sentiment tag with blue dye. 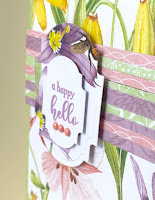 Today, I have a card for the Stack-a-holic Challenge over at DCWV. I used their Botanical Beauty Stack to create my card. I'm hoping this photo comes through clearly for you. It is navy blue and gold. It's reading a little black on my laptop. Definitely blue on my phone. You know how hard it is to photograph shiny things, I'm sure. There is still plenty of time to get a card of your own into the challenge. You have until 11:59pm on September 18th. 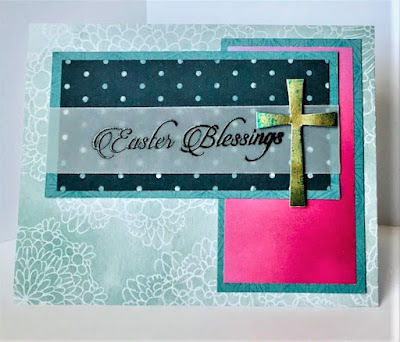 You can find the rules and other details on the DCWV, Inc. Facebook page. Here's a copy of the sketch we had to work with this month. I'm sure I'll use this one again and again. baby doll's bathtub I got for Christmas 1962 at Pop and Grannie's. 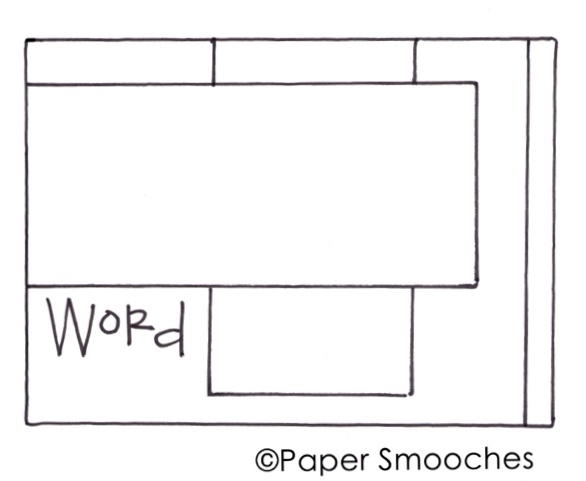 I wish I had made my blue squares and rectangles bigger. I think it would balance better with the size of my photographs. I'm sharing it anyway. I love the memories this page brings to my mind. 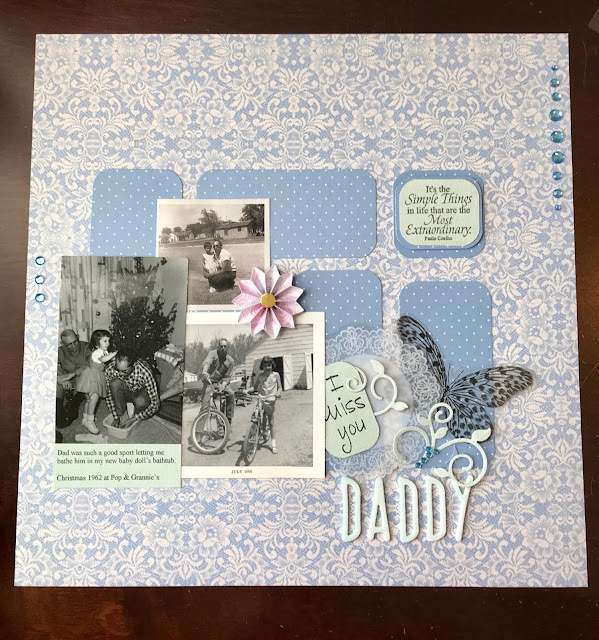 I had so much fun with Dad in my early years. We came back around to each other a few years before he died. Hope you are having a great day! Thanks for stopping in. Here's a copy of the sketch we had to work with. I'll use it again. 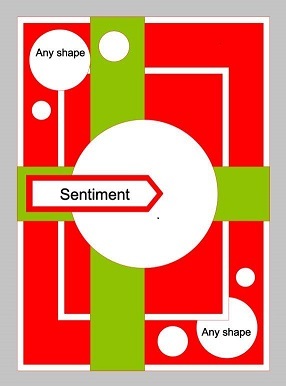 Looking for something to read? 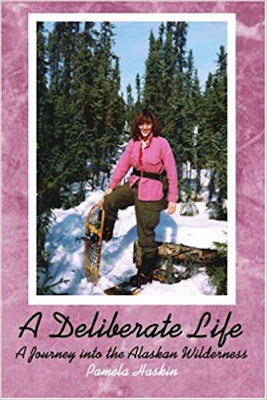 My multi award-winning book, A DELIBERATE LIFE: A JOURNEY INTO THE ALASKAN WILDERNESS is only $3.99 for an e-book copy this week. Click here to order from Amazon. They also have a printed edition you can order if you prefer. And, it's available on Prime so you can have it quickly. You can also order A DELIBERATE LIFE anywhere you normally buy books - online or in store. Are these flowers not gorgeous!?! 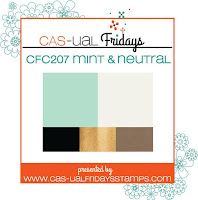 They are from the Botanical Beauty stack from DCWV, Inc. So many pretty sheets in this stack. Some have gold foil embellishing like the gold bees on my card. I made this card for the Stack-a-holic Challenge for May at DCWV. First, I trimmed my card front. Yes, it was hard to cut through these beautiful flowers, but you can do it! Next, I stamped and die cut my sentiment tags and adhered them with foam tape. To finish up, I added a few epoxy dots. 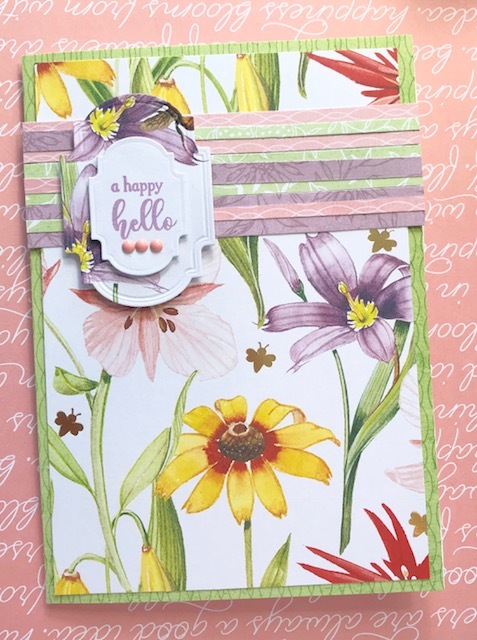 Lately, I have been making 4.25 x 5.5 cards, but I wanted more of the flowers to show on this card, so I made this one 5 x 7. 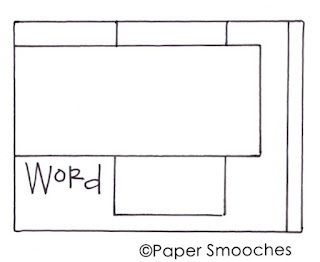 We had the sketch below to work with this month. There is still a little time to join in the fun if you have an idea for your own card. Details are on DCWV's Facebook page here: https://www.facebook.com/DCWVInc/. 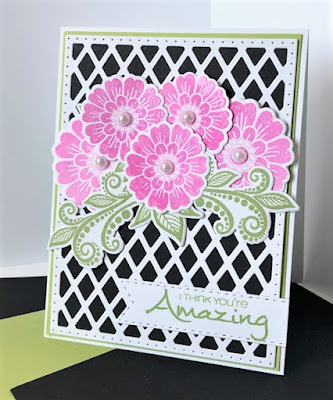 I have more cards today for the Kindness Challenge over at Stamp TV. 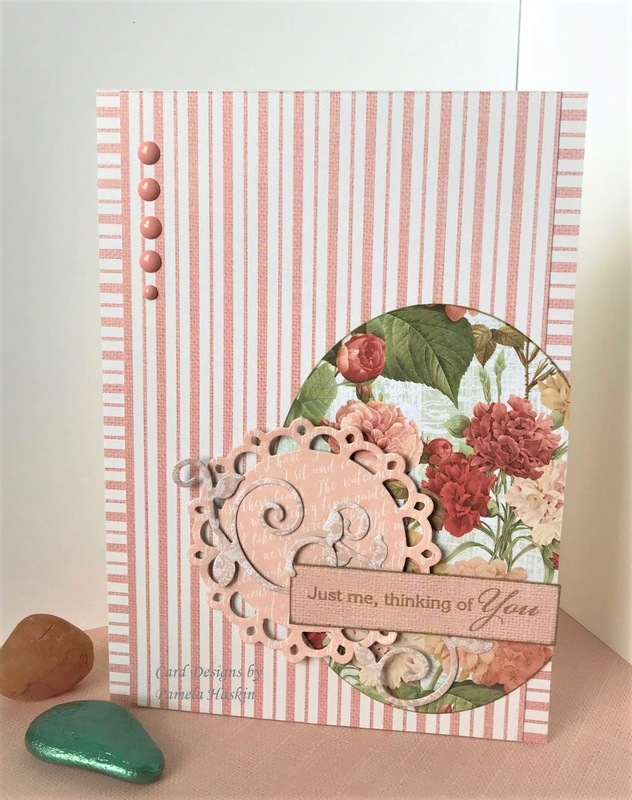 I love this theme for this challenge and decided to make several more cards for my stash. My friends and family love digging through my stash for their favorites to take home. 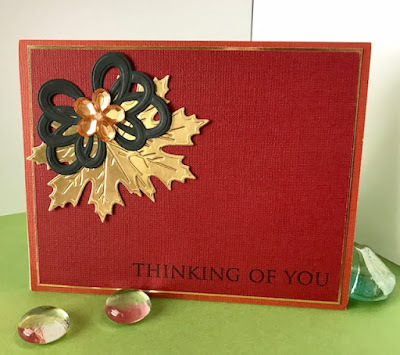 Thinking-of-you type cards are the ones I send most. 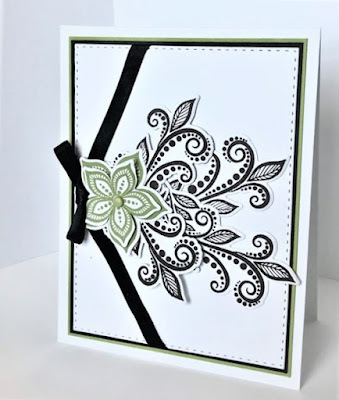 To create my patterned cardstock for this card, I stamped the flourish several times on white cardstock. Then, I trimmed it to fit as you see here. 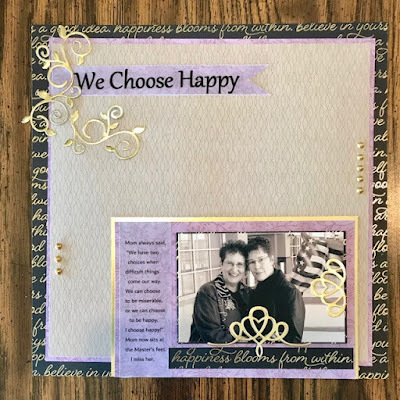 I added a strip of matching cardstock to set it off. 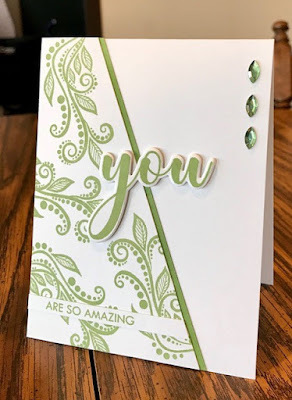 Next, I stamped and die cut the sentiment and adhered the "you" with foam tape. 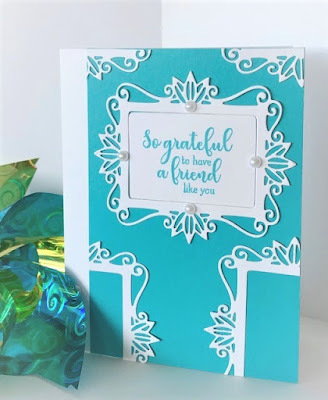 I used Blue Raspberry cardstock and ink from Gina K Designs on this card. I used Grass Green cardstock and ink from Gina K Designs on this card. 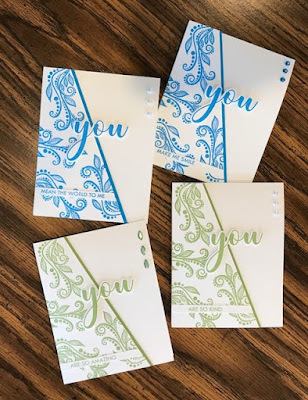 Here are all the cards I made today. 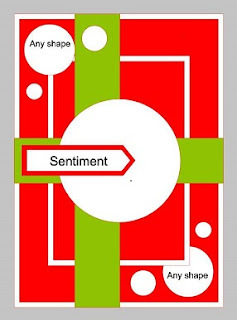 Once I had my design created, it was easy then to make more cards. Coming up with the design is the most time consuming part for me. 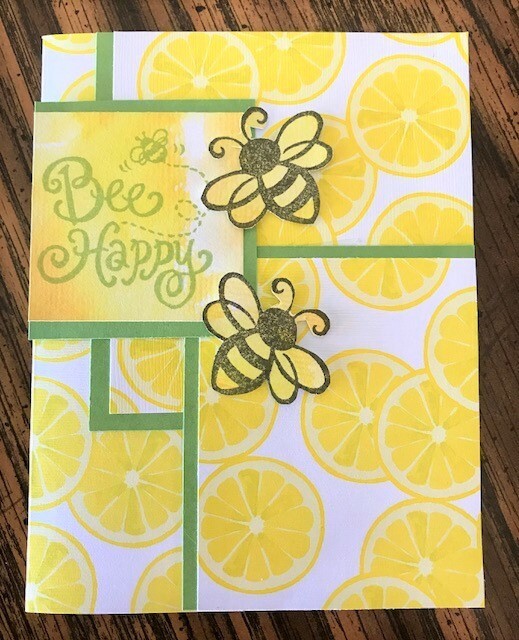 If I really like a card I've made, then I usually make several.